Fernhill stair parts are ideally suited for larger, grander staircases. These stair parts are ideally suited to larger hallways. This is a half newel cap, designed for use with half newel posts and bases. Half newels can provide you with a neat way to finish a handrail against a wall. 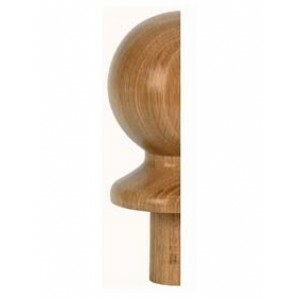 The ball design of this half newel cap is simpler but stylish and will suit any home. All Fernhill stair parts are produced in a range of different timbers to suit any stairs.